This has been a great year for Vienna. It began as one of the New York Times’ “50 Best Places to Visit” and in February it was named the world’s most livable city for the fifth time in a row by Mercer, the international consultants who rank such things. Between January and October, 283,000 (+11.9 percent) Americans stayed in Viennese hotels staying 646,000 total nights, making the U.S. second only to neighboring Germany as the city’s top foreign market. Now 2015 is getting ready to roll into Vienna with a new season of more than 450 balls and a determination to celebrate the 150th birthday of the Ringstrasse, that three-mile long boulevard that circles the city following the path of the old city walls. According to Gigl, Austria is doing well all over, not just in the capital. 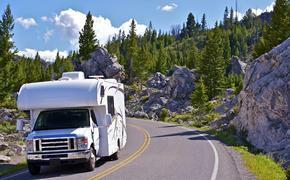 “We are up about 9 percent in U.S. arrivals in the first eight months of the year. We are forecasting our best year since 2001. There are several reasons. Europe is doing well and Central Europe is doing extremely well. Austria just fits with what travelers are looking for experientially. “We are not a bucket list destination, but we offer an authentic experience of European history, culture and art. We are very optimistic about 2015, especially with this robust dollar exchange.” Currently, the Euro buys $1.25. 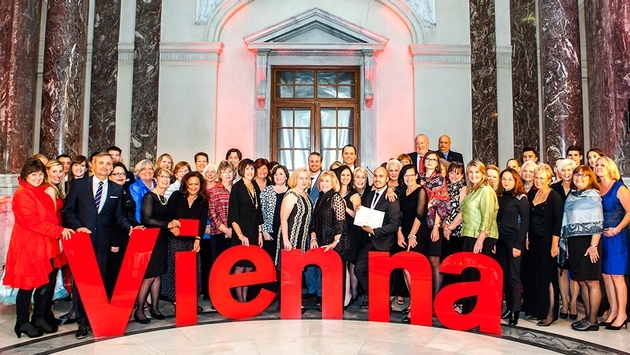 In October, the Austrian Tourist Office brought about 90 travel agents on a tour of Austria for the Austria Destination Summit. The agents were two thirds American and a third Australian. While the Summit took place in Salzburg and Vienna agents were able to explore many parts of Austria and meet with luxury suppliers. This past summer, the Austria Expert Program, was launched online in a newly updated version features more in-depth destination information, including valuable travel tips, itinerary suggestions, and an overview of basic travel infrastructure. Vienna has added many hotels in the past few years to keep apace of the city’s increasing popularity. Today there are more than 400 different accommodations offering a grand total of more than 62,000 beds, with everything represented from traditional establishments and design hotels to low budget bed and breakfasts. No hotel attracted more attention than the new Meliá Vienna (pictured at left courtesy Melia), which won the new build “Opening of The Year” award at the European Hospitality Awards. The hotel is Meliá Hotels International’s first property in Austria. 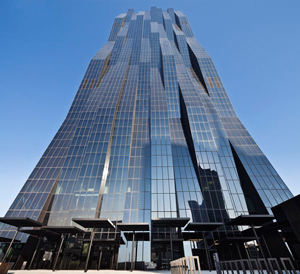 The hotel, which sits at the top of Austria’s tallest skyscraper, was cited for its “innovative structural and interior design solutions.” Designed by Parisian architect Dominique Perrault, the exterior offers a glazed, clearly structured, minimalistic monolith resembling a geometric waterfall. In October, the Viennese Tourist Board simulated a traditional Viennese coffee house in New York’s Grand Central Station to celebrate the Ringstrasse’s birthday. 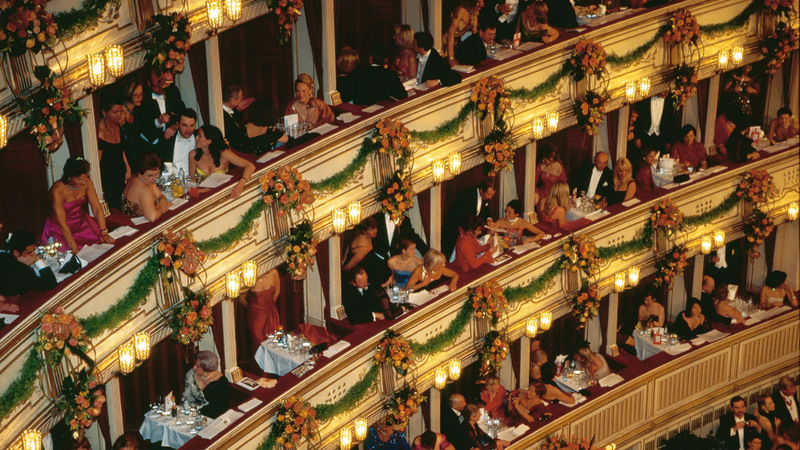 The celebration was made even more appropriate as Vienna prepares to open its new Main Railway Station in 2015.